9783319395548 | Springer-Verlag New York Inc, June 25, 2016, cover price $119.00 | About this edition: This book constitutes the refereed proceedings of the 14th International Conference on Applied Cryptography and Network Security, ACNS 2016, held in Guildford, UK. 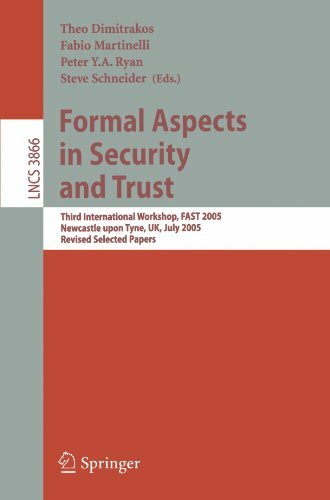 9783540326281 | Springer-Verlag New York Inc, March 15, 2006, cover price $99.00 | About this edition: This book constitutes the thoroughly refereed post-proceedings of the Third International Workshop on Formal Aspects in Security and Trust, FAST 2005, held in Newcastle upon Tyne, UK in July 2005. 9783540255598 | Springer Verlag, September 30, 2005, cover price $149.00 | About this edition: These proceedings record the papers presented at the 4th International Conf- ence of B and Z Users (ZB 2005), held in the city of Guildford in the south-east ofEngland. 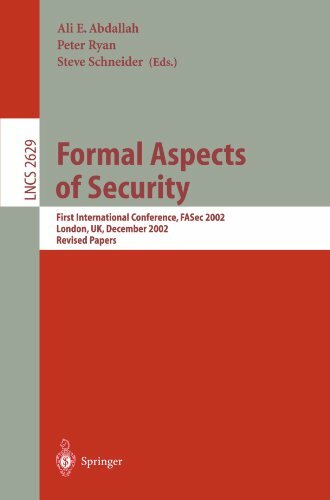 9783540206934 | Springer-Verlag New York Inc, February 1, 2004, cover price $89.99 | About this edition: Preface Formal Aspects of Security (FASec) was held at Royal Holloway, University of London, 18-20 December 2002. 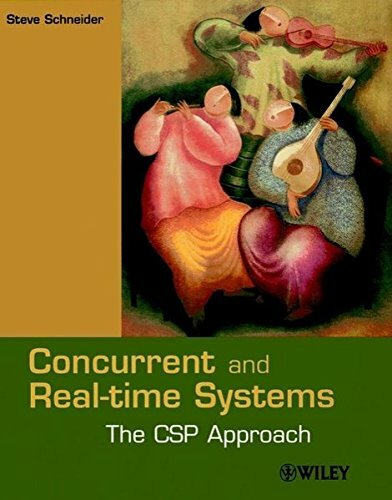 9780471623731 | John Wiley & Sons Inc, September 1, 1999, cover price $116.45 | About this edition: The CSP approach has been widely used in the specification, analysis and verification of concurrent and real-time systems, and for understanding the particular issues that can arise when concurrency is present. 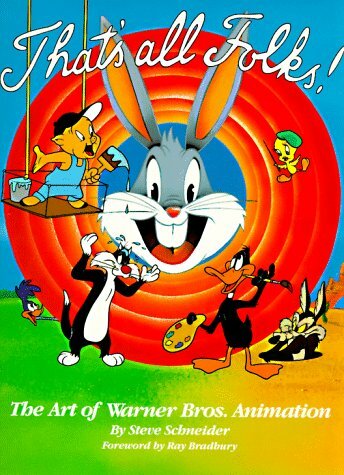 9780805014853, titled "That's All Folks: The Art of Warner Bros. Animation" | Rep edition (Henry Holt & Co, September 1, 1990), cover price $19.95 | About this edition: Here is the first comprehensive record of the classic Warner Bros.